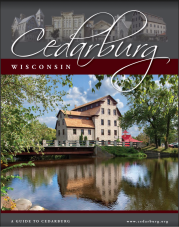 A perfect weekend in October includes Cedarburg's 12th Annual Oktoberfest in Downtown Historic Cedarburg. A huge tent is erected in the Community Center Parking Lot (W63 N641 Washington Ave.) covering the bands, dance floor and tables, and lending a true Oktoberfest feel. 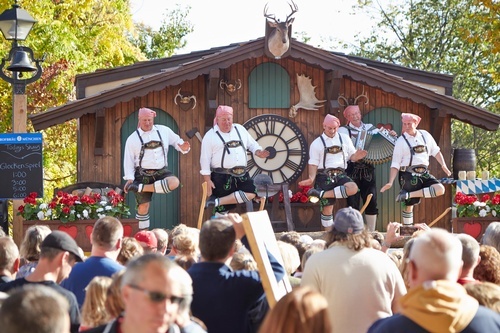 Oktoberfest offers authentic German music including the Pommersche Tanzdeel Freistadt Dancers, Tuba Dan, the Alte Kameraden Band and the Cedarburg Civic Band, plus a wooden dance floor for polka fans. The live Glockenspiel, a delightful goofy giant cuckoo clock that comes to life every two hours, is another huge crowd pleaser. And there will be a merchants' marketplace, too. You will find a variety of German foods and beers, not forgetting German desserts. Specialty beers such as Hofbrau, Hacker Pschorr, Leinenkugel Oktoberfest and BlueMoon, plus a variety of Cedar Creek Winery wines, including the Gold Medal Cedar Creek Riesling will be available, too. Silly contests with prices include Best Lederhosen/Dirndl attire (male and female); sauerkraut eating contest and Sunday's German spelling bee from Ault to Zither (A-Z).